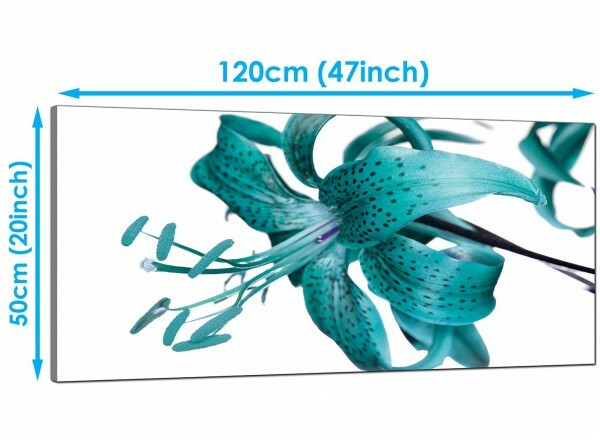 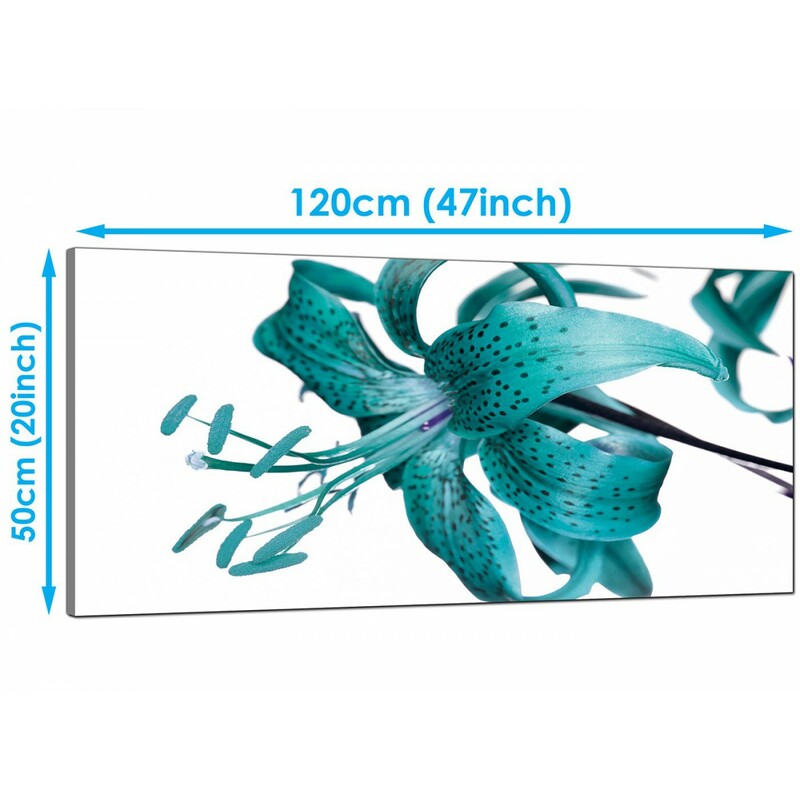 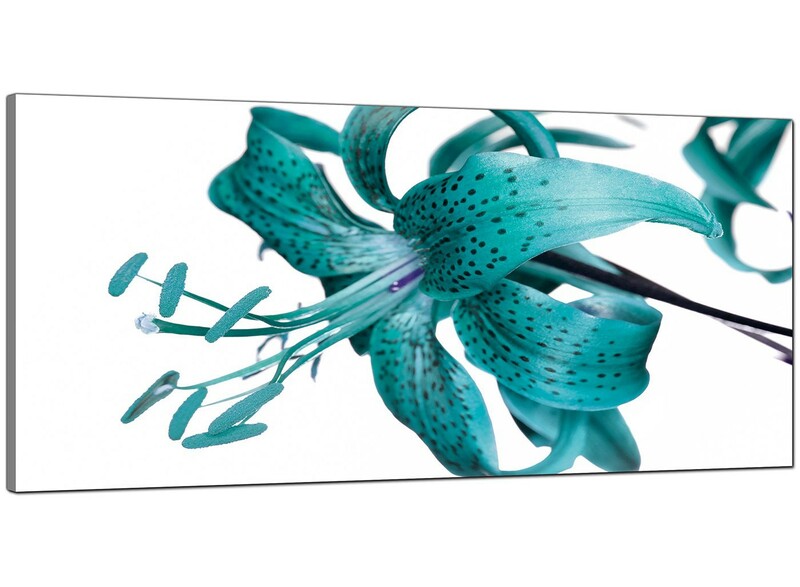 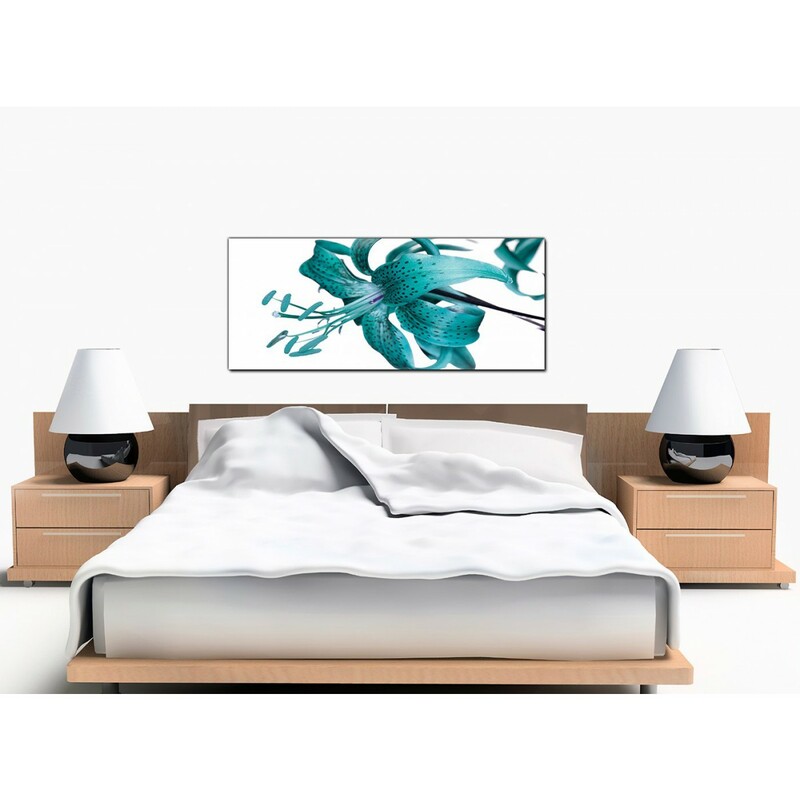 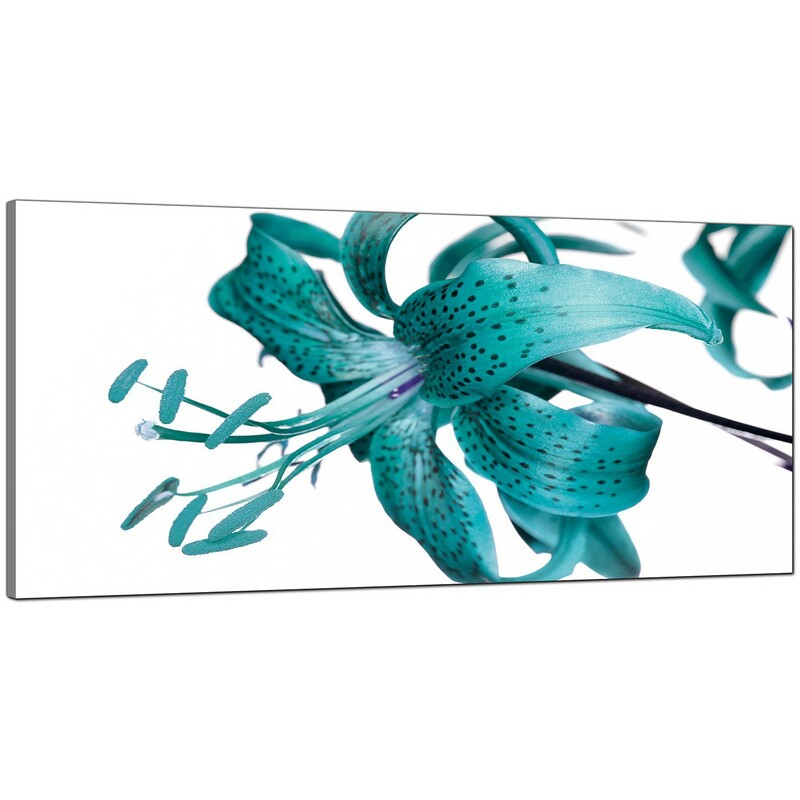 Floral canvas prints of a turquoise tiger lily. 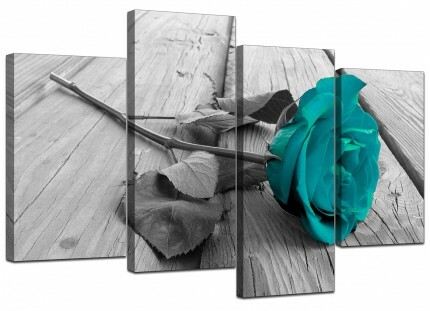 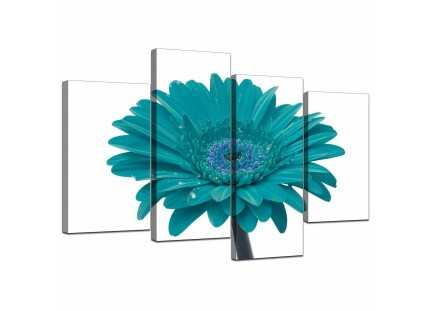 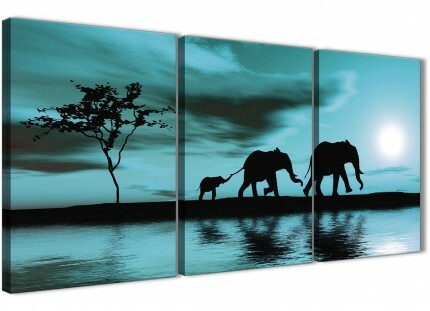 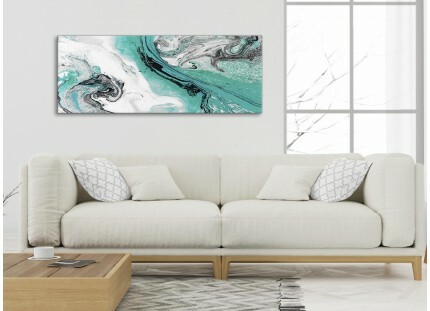 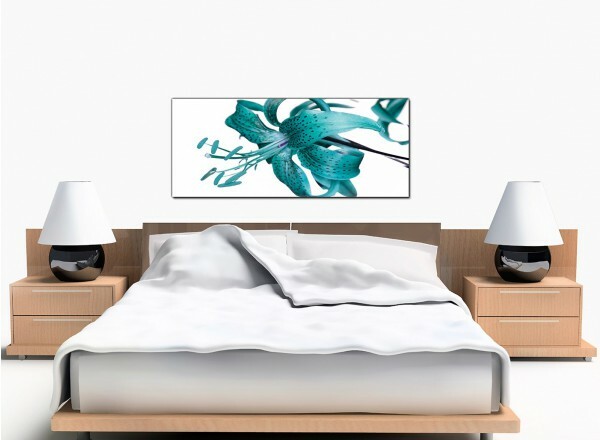 A huge teal stylish panoramic wall picture. 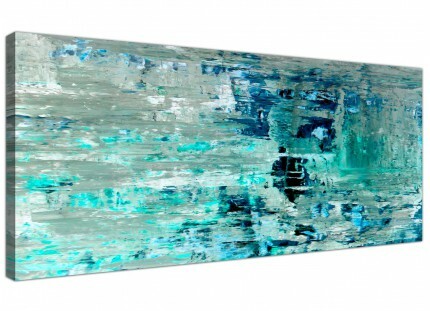 The UK's most loved online art gallery. 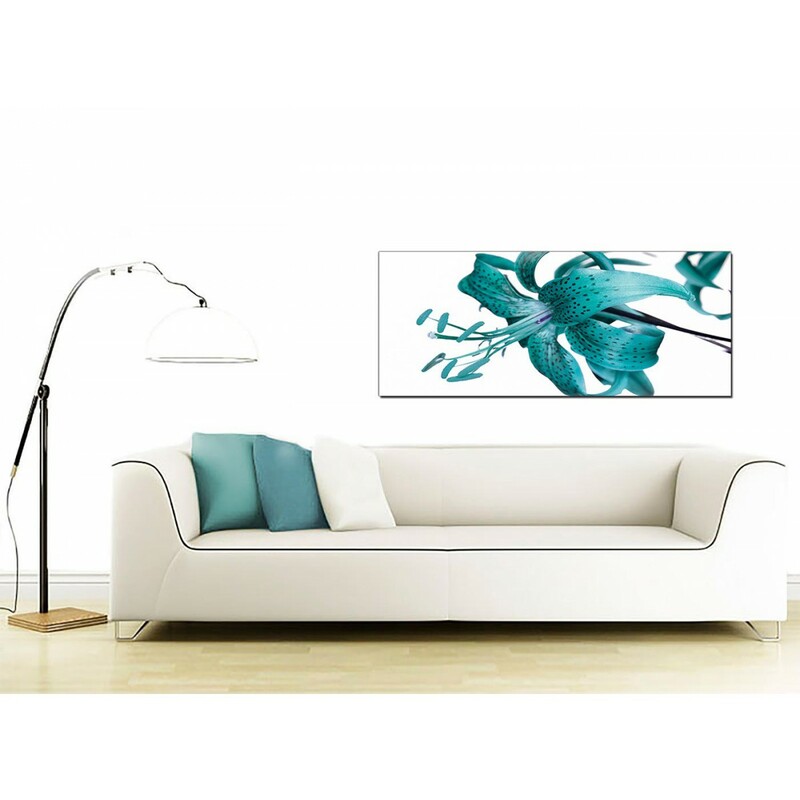 The artwork is top quality and printed with fade proof inks. 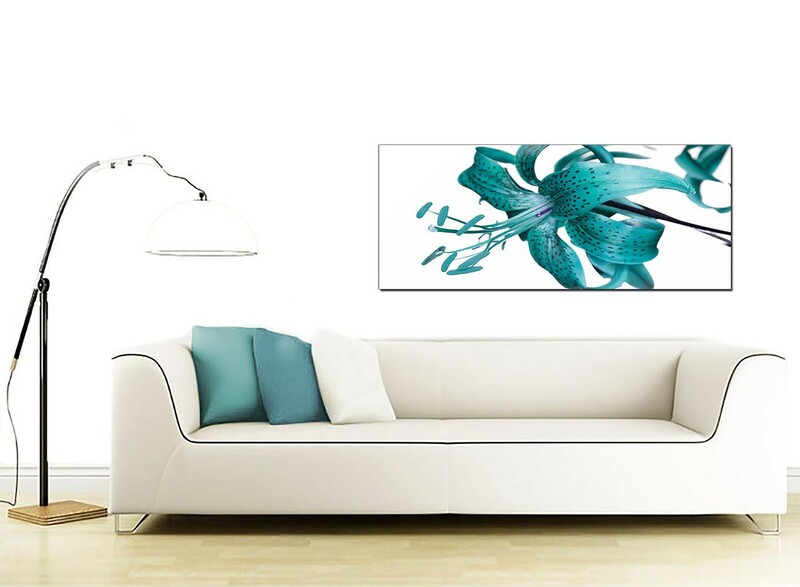 Good size for over the sofa.